In a time when there seems to be paper work for everything, former astronaut Buzz Aldrin shows us that it is not anything new. When Apollo 11 touched down on the moon, and Neil Armstrong made that historic leap for mankind on July 20, 1969, it became a day that marked how far man had come in his technological advancement. Of course, before and after the return we now find a couple somewhat silly hoops that had to be jumped through in association with the trip. 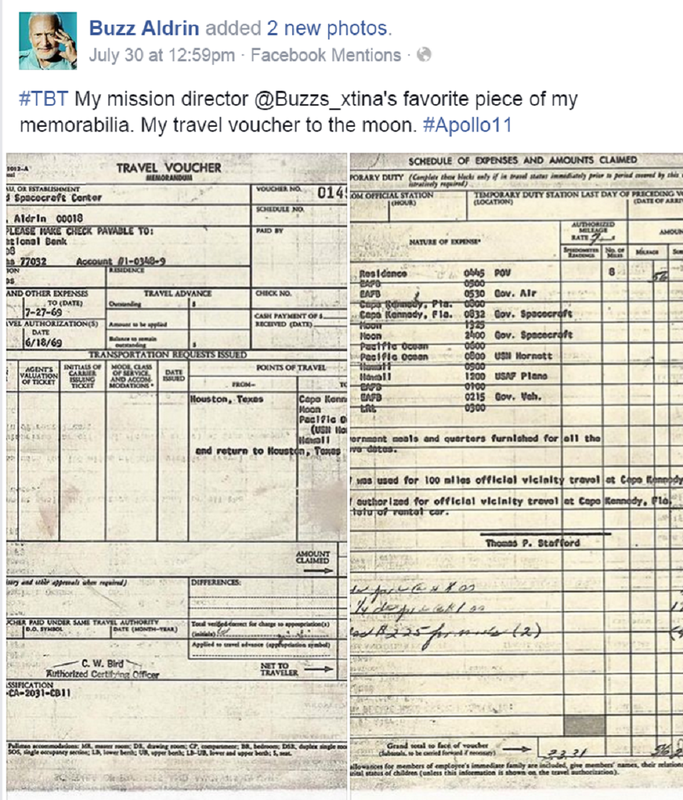 In a TBT tweet, former astronaut Buzz Aldrin revealed that he had to file a travel voucher with NASA for his moon trip. 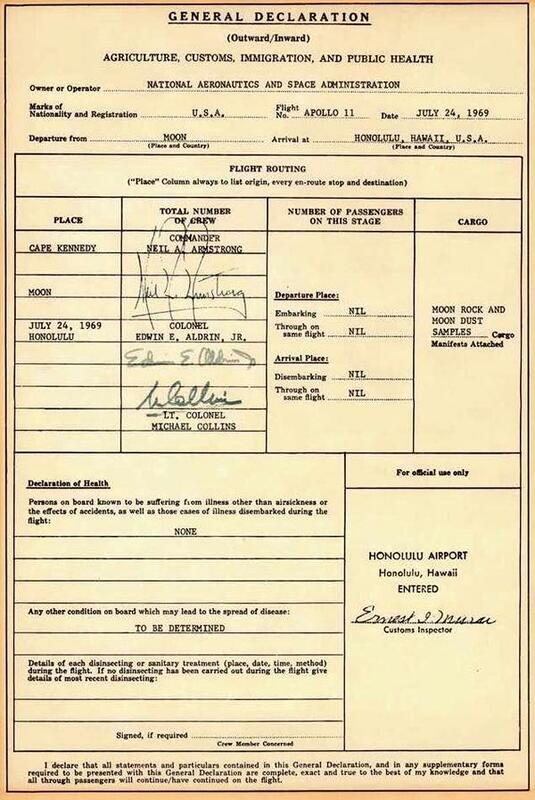 In documenting the trip, Aldrin divulged a route that left his home in Houston, went to Edwards Air Force Base in California, flew to Cape Canaveral, FL, then took a government space ship to the moon and back, landing in the Pacific Ocean. He was then picked up by the USS Hornet, which took him to Hawaii, and then back to Edwards, and then home. 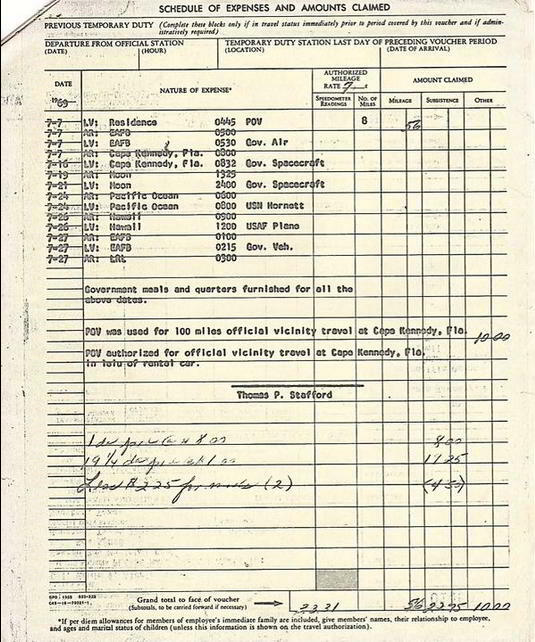 It was noted that "government meals and quarters were provided" during the trip. 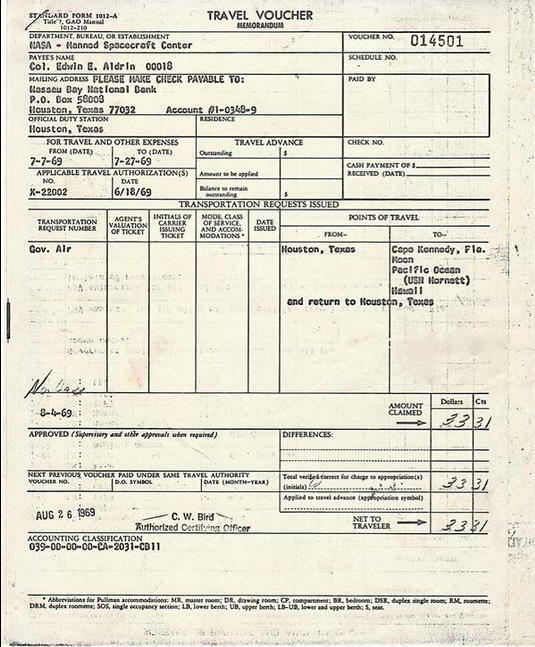 Aldrin also tweeted that in addition to the travel authorization before the moon flight, a Customs form had to be filled out upon return to Honolulu airport for the moon rocks, moon dust and other samples they brought back. When the form asked about possible diseases, the response was "To Be Determined." Gotta love that government red tape.